“…the Assembly is a transitional body. If it achieves its goal, it will make itself obsolete by developing a proposal for the canonical organization of the Church in North and Central America. This proposal will in turn be presented to the forthcoming Great and Holy Council, which will consist of all canonical Orthodox bishops throughout the world. Should this proposal be accepted, it is hoped that the Assembly of Bishops will then come to an end, ultimately to be succeeded by a governing Synod of a united Church in North and Central America.” (see About the Assembly). Have you personally seen how the work of the Assembly has made an impact nationally, regionally, locally? What are some concrete examples? How do you believe you can individually help the process make progress? What are indicators that you look to as a measure of the progress of the Assembly’s work? What suggestions do you have for the Assembly and its Committees so that it may fulfill its vision? This striving towards unity can be put into practice at the regional level. I think the best way could be for our pastors to organize joint Sunday liturgies a few times throughout the years. For example, on a given Sunday in a city like Ottawa, Canada, (where I live), a ‘Russian based Church’ could celebrate the Divine liturgy with an ‘Antiochan or Constantinople based Church’. This would be a first step towards fostering unity and comprehension, in love. This can be easily accomplished and would help in the tearing down of walls and self-isolation. 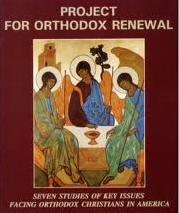 as a staunch orthodox ,please digest this statement:as long as we greeks want to be ethnetically more Greek than more and better orthodox nothing will get done.how g. o. churches are named sts,cryil&methodias? greeks wake up. Stay away from the ethnic churches. They were built by the communities and nations whom they serve. Build your own McOrthodox churches. There are better ways to build unity without corporate communist style takeovers. Good day to you. What do you mean by McOrthodox Churches? I agree with you that Churches based on ethnicity is not a good thing (although I understand how this came about in the first place, human nature for immigrants to re-group together in a new and unknown country), but if we strive towards the elimination of this phenomena, an amalgamation of dioceses has to happen at some point in time. If not, how do you propose to arrive at unity? 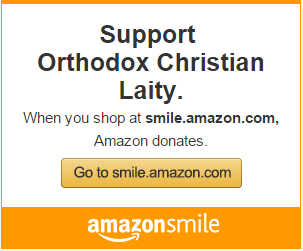 No one who has originated this OCL web site really talks about the “details” of what is being presented as “Orthodox Unity” in America. This site has everyone in almost a frenzy of “Go, go, go, yeah Orthodox Unity!” HOWEVER, what has been presented by the so-called Assembly of Bishops is really UNITY UNDER ISTANBUL. No one here understands Orthodox Canon Law and certainly those at the GOA hdqtrs don’t or just ignore it. FOREIGN BISHOPS HAVE NO AUTHORITY BEYOND THEIR OWN BORDERS. Neither Moscow, Istanbul, Damascus or any other foreign bishop (patriarch) has authority in North America. Once a canonical, autocephalous “local Orthodox Church” has been established in a territory, ALL the Orthodox, canonically, are to be under it’s omophor (authority). The GOA has in particular, ignored this. If the OCL wants to promote Orthodox Unity, it really needs to do it in a canonical fashion, not promoting the GOA stance of unity under foreign bishops, in particular + Bart.